So over on G+ they play a game called Bird Poker. This week was Birds of Prey and then you have sub-themes of different things of which I hit 2 of, Perching and 2 or More with today's image. There was also one of Humorous and I may have hit that too because I thought the way the older one was looking at the juvenile was kind of funny. It looked to me like it was thinking, "What are you doing?" 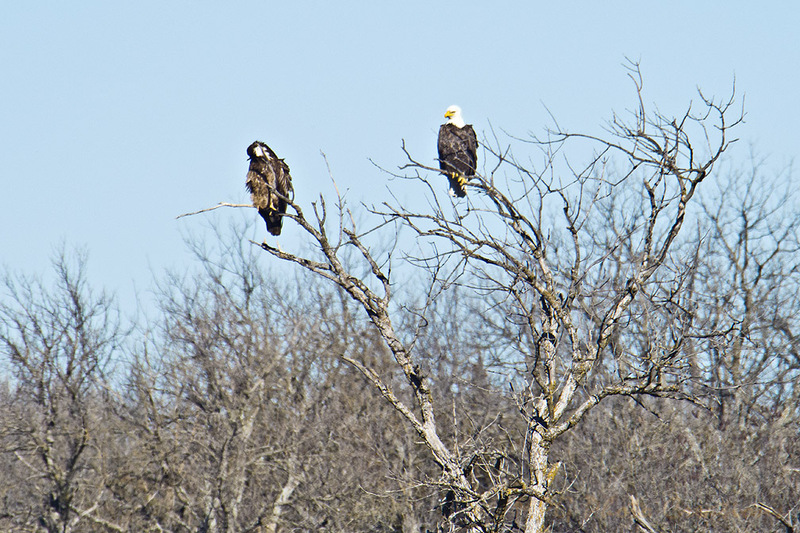 I captured these 2 Bald Eagles out at Milford Lake a while back. 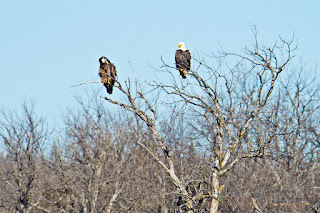 So that's why the 2 bird images this week.